NOTE: ACADEMIC DISHONESTY IS A VERY SERIOUS CHARGE, WHICH CAN LEAD TO SUSPENSION FROM THE COLLEGE. All students should become familiar with the rules of academic honesty and apply them in ALL academic work. Questions regarding the application of academic honesty rules to specific assignments should be directed to the instructor making the assignment. Students have engaged in academic dishonesty if they have copied the work of another without attribution, willfully allowed another to copy their work, falsified information, fabricated and/or misrepresented data, submitted the work of another as though it were their own, submitted substantially the same paper for multiple courses without the consent of all professors involved, or committed other acts of plagiarism or actions deemed to be dishonest by the instructor. Each instructor may, at the appropriate time, call to the students' attention the published statements in the Student Handbook and Student Policies Manual regarding academic honesty. The instructor shall define for the students the limits within which the policy of academic honesty shall be applied, particularly in reference to plagiarism. Each instructor reserves the right to submit student assignments to a plagiarism detection program such as Turnitin.com with or without the students’ knowledge. Wherever possible, such plagiarism detection programs may be used as an instructional tool to discourage plagiarism before it happens. First Offense--When the instructor is confronted with and can prove an act of dishonesty, discretion should be used in disposing of the matter. If, in the instructor's judgment, the student acted in ignorance, it may serve little purpose to apply punitive measures when remedial action may be more appropriate. On the other hand, if the intent to be dishonest has been obvious and flagrant, punitive measures may be required. The punitive measures shall be either (a) a reduction in the course grade to a degree determined by the instructor, or (b) immediate expulsion from the course with a grade of "F" assigned. The instructor shall report each instance of academic dishonesty to the Provost. The report shall contain all pertinent information, such as dates, names, the nature of the dishonesty, and the nature of the instructor's action. determine that the facts of the second offense were sufficient to establish guilt, thereby causing one of the following penalties to be imposed in addition to any already imposed by the instructor(s): (a) suspension; (b) dismissal. Cases involving academic dishonesty may arise in which not all of the persons involved are currently enrolled in the course. The instructor shall report such cases in appropriate detail, through the Office of the Provost, to the Committee on Academic Standards for its action. The Provost shall maintain a record of all written reports of academic dishonesty submitted under this policy. The only instance wherein a notation concerning academic dishonesty may be made on a student's permanent record shall be where the student has been dismissed from the College therefore. In cases involving the first offense, the Provost may not amend the action taken by the instructor; however, the Provost may suggest to the student and/or to the instructor involved certain preventive or remedial courses of action when, for example, the record indicates that such action is in the best interests of either party. It is imperative that the rights of the student not be violated. When the instructor becomes the accuser, the student shall be confronted with the evidence and shall be permitted time to prepare an explanation and defense. Proof of guilt must be reasonably established before punitive action is taken. In all academic dishonesty cases involving a second offense, the Provost shall inform the student(s), in writing, of the reasons for the proposed disciplinary action, with sufficient particularity, and in sufficient time, to insure opportunity to prepare for the hearing. Students shall have the opportunity to present witnesses who can testify to facts relevant to the charges, and may be assisted by an advisor of their choice, selected from the faculty, staff or student body of the college. In first offense cases, with action taken by the instructor, the student shall have the right to request, in writing and through the Office of the Provost, a hearing by the Committee on Academic Standards; the appeal of decisions of the Committee on Academic Standards is made to the President of the College. In second offense cases, the student has the right to appeal a decision of the Committee on Academic Standards to the President of the College. These appeals must be submitted to the President within two weeks of the date of the decision of the Committee on Academic Standards. Appeals of suspensions and dismissals. Assigning final course grades is a responsibility that falls within the professional judgment and expertise of each faculty member. Grades assess as accurately as possible a student's performance according to clear criteria provided in the course such as academic performance, class attendance, and punctuality in submitting assignments. Student appeals of the final course grade must follow the four-step procedure outlined below. 1. At any time after final grade reports are issued, but no later than two weeks into the beginning of the semester following the conclusion of the course,the student must request an informal conference with the instructor to discuss the grade and attempt to resolve the concern. 2. If the outcome of the informal conference is not satisfactory to the student, or the instructor is not available, the student may submit a written request to meet with the department chairperson (or another faculty member in the department in instances involving the chairperson) within two weeks of meeting with the instructor. The student's request must include a written statement outlining the basis for the appeal and documenting the date(s) when the student met with the course instructor. It is the function of the chairperson to determine the relevant facts and to attempt to resolve the disagreement. The decision regarding the course grade in question will be made by the instructor in consultation with the chairperson (or his/her stand-in). The student will receive from the department chairperson written notification of the decision within one week of the meeting with the chairperson. 3. If resolution has not been achieved at step two, the student or the instructor may make a written appeal to the Provost within two weeks of the department chairperson’s written notification. In order to resolve the disagreement, the Provost will confer with the student and the instructor in private sessions and may call additional witnesses. If the Provost is unable to accomplish a resolution, she/he will forward the case to the Committee on Academic Standards. 4. Appeal to the Committee on Academic Standards is the most serious level which a final course grade appeal can reach. Both the student and the instructor must submit brief written statements (with accompanying documentation) to the Committee, describing the matter as they understand it. The Committee may decide not to hear the appeal on the basis of the written statements. If it does hear the appeal, the Committee will make a final decision in the matter, which could include changing the original grade. Cases involving grade appeals to the Committee on Academic Standards will be heard by the entire committee but will be voted on only by the four faculty members serving on the committee. The Provost will communicate in writing to the student and the instructor the final decision of the Committee within three weeks of receiving the appeal. This is the final step in the appeal process. 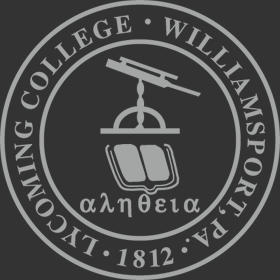 The academic program at Lycoming is based upon the assumption that there is value in class attendance for all students. Individual instructors are responsible for establishing reasonable attendance policies in any given course. It is the instructor's responsibility to make these policies known early in the semester, and it is the student's responsibility to understand them and to act accordingly. When students have been absent from any class, it is their responsibility to ascertain what academic work has been missed and what should be done to make up this work. There are no officially sanctioned absences that excuse any student from the performance of the required work in any course. Where examinations are involved, the instructor is under no obligation to give make-up examinations except in cases where students have been absent because of College-sponsored activities or other valid reasons. (The extent of the validity is to be determined by the instructor.) It is assumed all students will present themselves for final examinations at the time and place specified. Absences from final examinations are excused, with rare exceptions, only for medical reasons. Faculty members are expected to judge whether absences are placing a student in a state of academic deficiency. No other person is in such a position and to no other person could such responsibility be delegated. When in the judgment of an instructor of a course, a student is found to be in academic deficiency by reason of absences, this judgment will be communicated in writing to the student and to the Dean of First-Year Students, Assistant Dean of Academic Services, Associate Dean, and Provost. Students in a given course who are found to be in a state of academic deficiency will not be permitted further absences for College-sponsored activities. When a student is ill and is hospitalized or sent home for immediate bed care by the student’s physician for a period of three days or more, the Office of the Vice President for Student Life and Dean of Students will notify the student's instructors. When a student is absent from class for three consecutive times without an explanation, faculty members are requested to notify the Office of Residential Life for resident students or the Office of the Vice President for Student Life and Dean of Students for commuter students, so that appropriate staff might recommend, when needed, appropriate assistance. Other notifications of a student's class absence for a period of three days or more may be made by the Vice President for Student Life and Dean of Students or the Provost when there are extenuating circumstances of an extreme nature (e.g. serious illness, death in the immediate family). No retroactive explanation of a student's class absence will be made.